Are you ready for the Stranger to visit your house every week? Legendary TV and Digital Media are developing a TV series and companion video game based on the popular PC franchise Myst. Launched in 1993, Myst was one of the best-selling PC games of all-time until it was bested by The Sims in 2002. The first-person style game follows the Stranger, who travels to the fantasy island of Myst with the help of a magical book. There, he searches for clues to unlock a multitude of self-contained mini-worlds. Myst has spawned many sequels and even a trilogy of novels over the years. "[This means] finally being able to express in a visual linear medium the rich story that the Myst franchise is dripping with. Cyan's goal in working with Legendary is not just to create a compelling TV drama but to develop a true transmedia product that will include a companion video game that extends the story across both media. Seventy percent of tablet owners use their device while watching TV at least several times a week. Cyan sees the potential to push the boundaries of interactive storytelling to a new level." 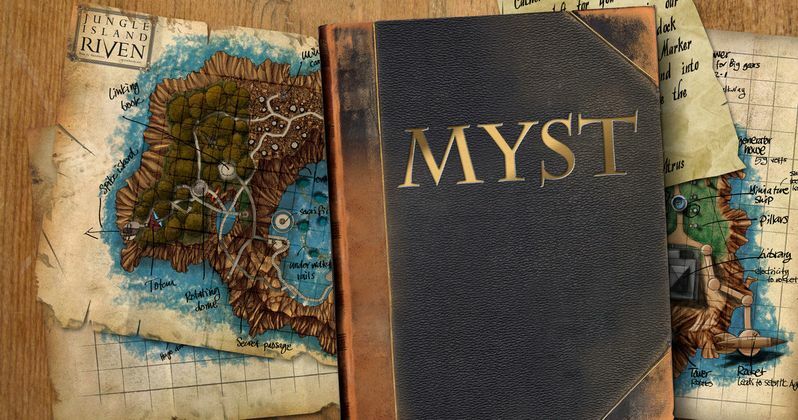 No creative team has been announced for the Myst TV series. More to come soon as the fantasy adventure continues to be developed. A Myst feature film was being developed in 2010 with Roserock Films and Gran Via Productions, but there has been no movement on that project since it was first announced. It is not known if the movie is still being developed, but that is unlikely with the TV series now moving forward.